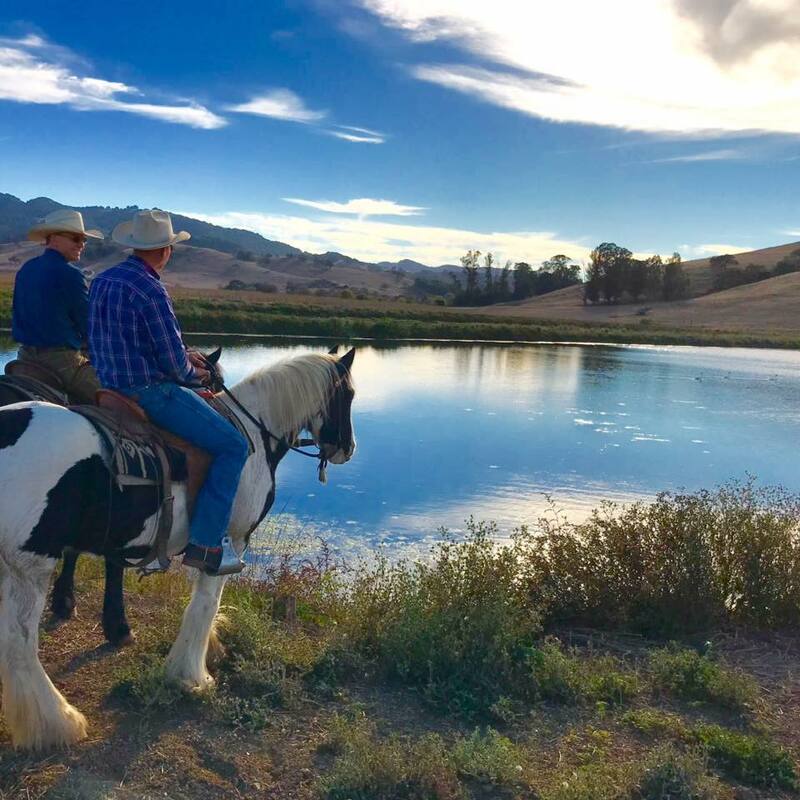 The Reis River Ranch Vineyards Farm Stay and Bed and Breakfast experience is located on a 630-acre working cattle and horse ranch in Sonoma County. We are 35 minutes north of San Francisco, 15 minutes to downtown Sonoma, 25 minutes to Napa and only 5 minutes to downtown Petaluma. Located on the Sonoma- Marin county line, we are the gateway to the wine country, close to hundreds of California’s premier wineries of the Napa-Sonoma Valleys. Welcome to our home. Enjoy the morning sun from your own private balcony/deck or the sunset from our many hillside vista views. Our dining room also has balcony views overlooking the Swan Lakes, pasture and hillsides. We have 3 options for you to choose from for your stay:Perfect for Groups, Families or Corporate Retreats. For all options: Check in 3:00PM – Check out 12:00PM Plus required Sonoma County TOT tax at 12% – TOT Certificate # 3172N We have lots of paved parking to accommodate our guests. 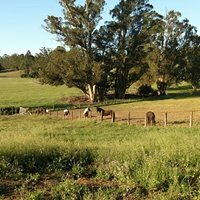 What makes our Ranch so unique is that even though we are in a private country setting, we are situated only minutes from downtown Petaluma. Visit the wine country, superb restaurants, antiques, giant redwoods, Bodega Bay, Sonoma Coast beaches and San Francisco! FEATURES Amenities: Linens, towels, soap provided. Free Dish TV, free wi-fi, iron & ironing board, great views and hiking trails. ACTIVITIES AND ANIMALS – Horses, cows, 100s of bird species including ducks, swans, hawks, herons and egrets; deer and jack rabbits. Nature walk. barn cats and the cutest little non-shed hypoallergenic indoor dog on the planet. Special Instructions: Our large beautiful rooms with 2 shared baths. 3 rooms with queen beds and 1 room with twin beds sleeping a total of 8 people. Also included is our cozy River Ranch Cottage which can accommodate 4 people. 1 bedroom with a Full size bed and 1 sofa sleeper and 1 bath. Includes full kitchen and large outdoor deck with amazing ranch views. Instructions: Check in 3:00PM - Check out 12:00PM Plus required Sonoma County TOT tax at 12% - TOT Certificate # 3172N We have lots of paved parking to accommodate our guests. Special Instructions: River Ranch Cottage which can accommodate 4 people. 1 bedroom with a Full size bed and 1 sofa sleeper and 1 bath. Includes full kitchen and large outdoor deck with amazing ranch views.